November 23, 2018 3:30 pm. 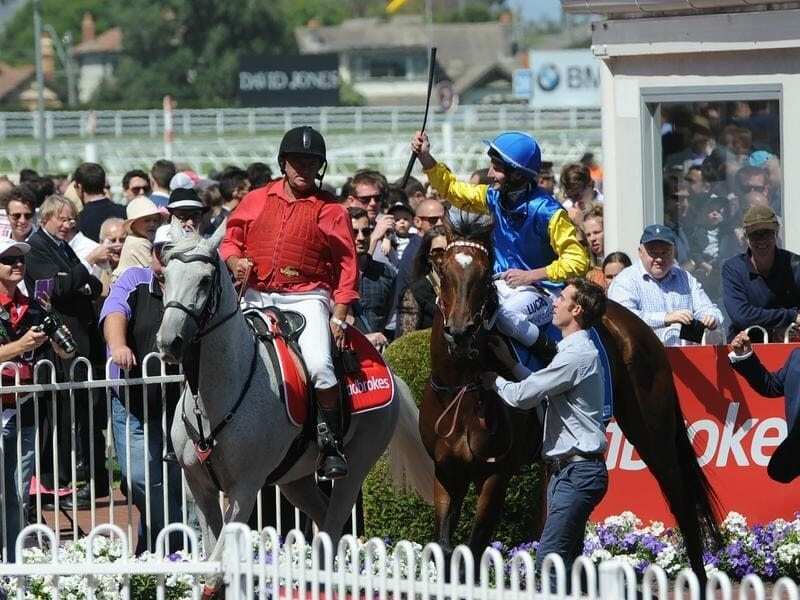 THE Perth Summer Racing Carnival is upon us and the Group 1 Railway Stakes is the first $1 million race of the season. Not only have the experts at Horse Betting delivered your tip for the main event but we have also provided the betting strategy for the remainder of the card. Jefart is hunting a fourth-straight win and looks well placed in the opener. A win in this year’s York Cup boosts our confidence, as does the strong winning pattern. The draw is a bit of a concern, as is the suspension of regular hoop Chris Parnham, but we feel Jefart has enough class to take this one out. The Nicconian is absolutely flying as of late and from the good draw looks hard to beat in a huge field. Across his last six starts the horse has won twice and only missed the placings once, and with the low weight we’re anticipating The Nicconian goes forward and takes this out from the front. State Solicitor is a quality animal in the west and despite the short turnaround we’re backing him in to improve on that run. It wasn’t a great run last time out but the gelding did a lot of extra work and wilted late. At his best State Solicitor can win this, and with Willie Pike taking the steer we’re backing him in. Dance Music is the best bet of the day at Ascot. Winning three of her for career starts, Dance Music blew the field away in trying circumstances with a last-start win when she got no favours racing the majority of the journey three wide. From barrier three the filly won’t have any of those same issues and Dance Music should do this with ease. Mississippi Delta is on a pathway to the Perth Cup and with Pike on board at a low weight she’ll be hardest to beat here. Carrying just 54kg into this contest from a middle draw, the five-year-old looks well suited here after only just missing out on recording back-to-back wins last time out. This appears very winnable and we’re backing Mississippi Delta our next best bet of the day. Misty Metal will need a slice of luck from the wide barrier but if she gets the front cheaply this is a race she can win from start to finish. With a great third-up record of one win and a placing from two attempts this appears to be a race the mare has been set for and will be hard to beat if she pings the lids. The Williams and Pike combination take race favourite Arcadia Queen into this event and we’re backing them in to deliver. The three-year-old recorded a fantastic win in the Champion Fillies and comes into this one with a low weight and an ideal draw. The West Aussie native should be good enough to go back-to-back in this one. Williams and Pike should go back-to-back here with gun mare Galaxy Star. The only issue here is barrier two, but the gun six-year-old should get a good run if the race unfolds as we expect Pike should have Galaxy Star sitting midfield, ready to unleash as they straighten. If the runs present for Galaxy Star she’s winning the Railway Stakes, it’s only a matter of how far. One Short was decent first-up back on November 10 when he finished just over two lengths away from the winner. This race presents as a nice opportunity to get that sixth career win. With a second-up record of two wins and a second placing from three starts, coupled with a great draw has us optimistic of a quality run to end the card.